One step after another. Pilgrims trudge, slowly, moving closer towards the religious shrine, remarkably inundated with the beauty of Jammu and Kashmir. The journey in itself is salvation, cleansing one’s soul. Over the years, several personal stories have witnessed the magic and healing power of temples in Kashmir—they still do. Perched on the hill-tops, the temples in Kashmir have their own enigmatic history, architecture, style of construction and even indigenous roots. With interesting stories related to most of the temples, Jammu and Kashmir is one of the religious pilgrimage destinations in India, exuding their sacred presence. Few of the temples are known for their annual pilgrimages like Amarnath Yatra and Chaddi Yatra to Machel Mata. The central idea that still retains the sacred longevity of temples in Jammu and Kashmir is the uncountable stories of faith and hope attached with them. Thus, pilgrims from different parts of India, often indulge in the annual ‘yatras’, thereby adding to its cultural importance. A much revered Hindu shrine in Jammu and Kashmir, thousands of pilgrims visit it per year. It is situated141 km away from Srinagar, the capital. Enveloped by the snow-capped mountains, it is dedicated to Hindu Lord Shiva. 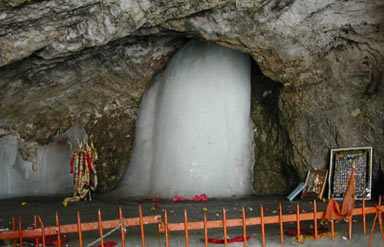 The ice-stalagmite lingam formed by the frozen water drops inside the cave is considered sacred by the Hindu devotees. The annual Amarnath Yatra is believed to cleanse one’s sin and endow salvation. The mythological Indian texts reveal that Lord Shiva had explained the ‘secret of life’ to his trusted consort Goddess Parvati in the cave. According to historical evidences, the first trip to Amarnath took place way back in 1000 BC. Located 24 km away from Srinagar, it is the revered by the followers of Vedic religious by Hindu pilgrims in Kashmir. Since, it is constructed over a spring—the change in colour of spring water supposedly predicts the future of Kashmir. The holy spring often changes its colour in various hues like red, white, blue, green, orange and others. Interestingly, the spring water flows from west to east. The eight full moon day in the month of May/June is considered very sacred and several pilgrims come and fast within the premises of the temple. 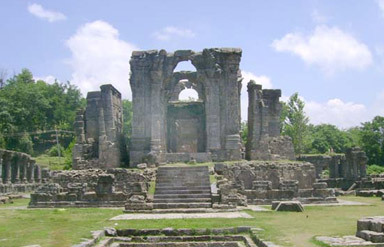 One of the most revered temples in the Jammu region; it is dedicated to Goddess Durga. The annual pilgrimage to Machel Mata, conducted every year in August attracts thousands of pilgrims. Called as ‘Chaddi Yatra’, it takes 32 km to reach the shrine from the base Gulabgarh. One can spot road-side cafes while trekking upwards towards the shrine, which usually takes 2-3 days. Tourists can also book helicopter tours from Gulabgarh or Jammu to reach Machel Mata in Jammu. Dedicated to the Hindu Lord Surya, it was constructed way back in 8th century. In fact, the term ‘Martand’ signifies the Hindu name of Lord Surya. In spite of it standing in ruins today, its religious value has not decreased. Since it is perched on the hill-top, it endows a breathtakingly beautiful bird’s eye view of the Kashmir Valley. Dedicated to Lord Shiva, it is perched on the very top of the Shankaracharya hill. Overlooking the capital city of Srinagar, it is 1000 feet above the plane. The sacred visit of Hindu theologian Adi Shankara to the temple endowed its current name. 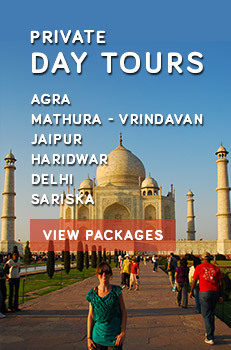 Along with Hindus, it is also an important pilgrimage destination for Buddhists. In fact, it is still debatable whether or not this temple has Buddhist roots. Interestingly, one can also spot Persian inscriptions within the temple. Persians even call it as Bagh-i- Sulaiman. Located 12 km away from the base at Katra, it can be reached by an upwards trek. 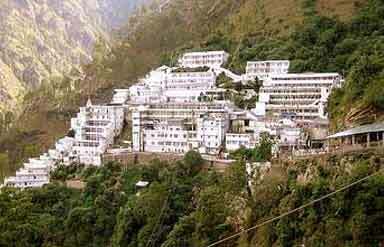 In fact, tourists can also opt for helicopter services as mentioned in the Vaishno Devi Travel Guide.